Westfield Group UK Ltd - Asbestos Services based in Chandler's Ford, Hampshire. 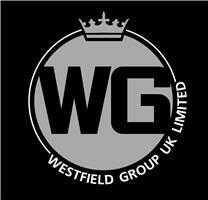 Westfield Group UK Ltd is a family run asbestos removal company which has been operating throughout the south coast and London providing services to both domestic and commercial and private sector clients for over 12 years. We have a proven track record which is reflected by our current maximum 3-year term licence which is granted to us by the Health & Safety Executive. All of our technical team and operatives are highly trained to NVQ level and hold appropriate CSCS cards. We work closely with all our clients to ensure the highest levels of safety are meet whilst undertaking each project. Westfield Group UK Ltd specialises in all aspects of licenced and non-licenced asbestos removal. However, as a licenced contractor we also extend the same standards required to hold a licence to cover all of our non-licenced projects. This ensures our clients receive the same safe and cost effective removal of all non licenced products including garage/shed roofs and asbestos cement waste collections.